The present directors and the promoters of the company are both the young entrepreneur and close friends from school days. They were keen interested from their school days for doing business jointly. By the grace of god, they got an opportunity to start cold storage business. In 2013 the state government launched a scheme for young entrepreneurs namely “Yuva Udhymita Protsahan Yogna” i.e. YUPY. Under this scheme state government announced to bring project from young entrepreneurs about their idea for setting up new industry. In whole India around 15000 people submitted their ideas for setting up industry. Our both directors applied for cold storage project in this scheme and got 39th rank in whole India. Under this scheme Rajasthan Government provided term Loan for entrepreneurs for their new start-up through Rajasthan financial Corporation. 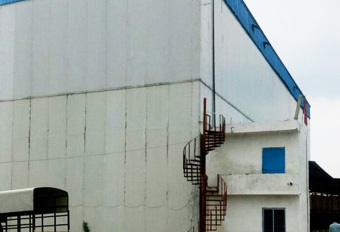 To convert this project into operation, both of directors acquired the company “Shiv Sudarshan Poly Fab Pvt Ltd.” The company was incorporated in the year 2010 and allotted Land for textile industry after 3 years i.e. in the year 2013. The present directors acquired the company and made amendment in object clause of Memorandum of Company and enter into the business of agriculture products like Spices, Dryfruits, Fruits, Vegetables etc. To Expand this business, they sett-ted up cold storage unit with capacity of 1500MT. 1. Arihant Traders- for dealing in all kind of textile machinery like weaving processing and spinning. 2. Pratiksha Industries – deal in agriculture commodities. 3. Pratik Textile- Deals in yarn fabrics & garments (Cotton & Denim) in all over country.